The economical answer to imitation filters, made by the Beadfilter experts! How long have bead filters been in use? Bead filters have been around since the mid-70’s and got their start In the food fish industry. Bead filters have been tested at various universities around the country, including Louisiana State University and Langston University in Oklahoma. In these tests, bead filters out performed other filtration systems, when considering both bio filtration and clarification. What is the theory behind bead filter operation? Bead filters accomplish two goals, one being water polishing (solids capture) and the other being bio filtration. 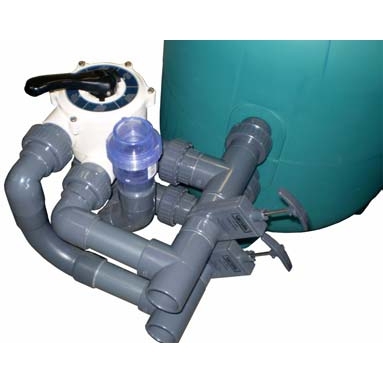 Other filtration systems accomplish these goals, but are much larger and more difficult to clean. 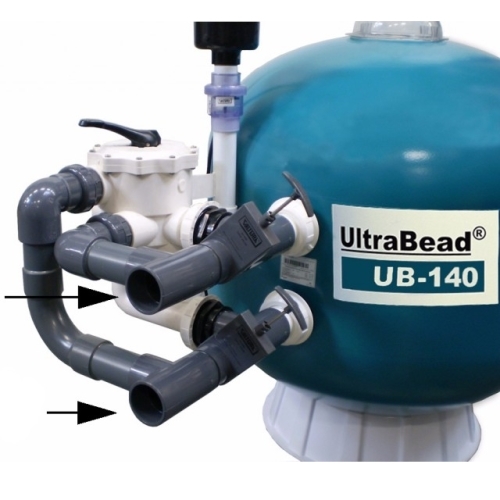 The advantage of the bead filter is that it provides a home for beneficial bacteria with high surface area for a large colony per cubic foot and fine particulate straining all within the same vessel. The other big advantage the bead filters have over other types of filters is that they are much easier to clean. This makes the hobby of KOI or pond keeping much more enjoyable, with less work involved in maintaining a healthy environment for the fish. How does a bead filter perform Mechanical Filtration? 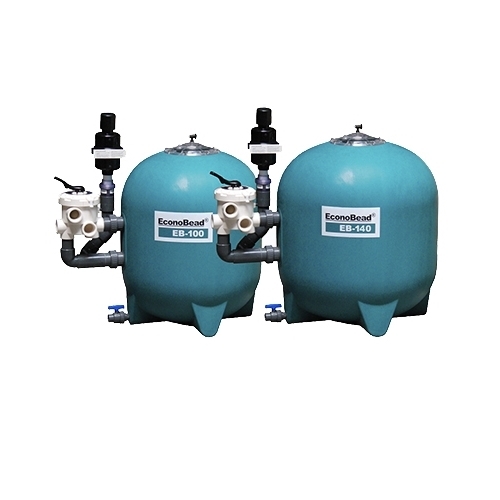 Mechanical filtration or clarification is the process of removing suspended solids from water. 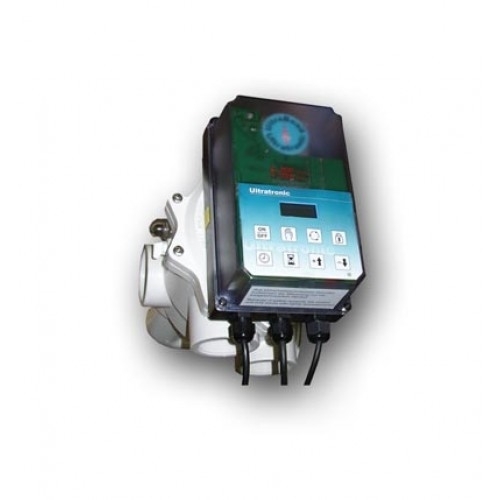 Suspended solids in a recirculating system are generally small particles of undigested food, bacteria, and algae. These solids tend to reduce the clarity of water and cause problems in consuming tremendous amounts of oxygen, also needed by our beloved fish. 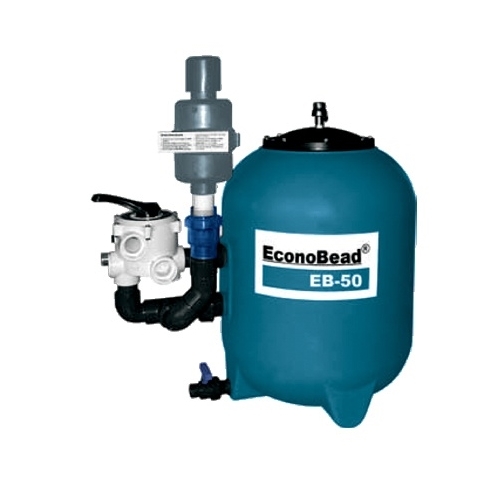 Bead filters remove solids from water by different mechanisms. Physical straining is probably the most dominant mechanism removing larger particles (>50 microns). Finer particles (<20 microns) are removed at a lower rate by a process called bio absorption. The particles are captured by bacterial bio film on the surface of the bead. Studies show that bead filters capture 100% of particles >50 microns and 48% of particles in the 5-10 micron range per pass. The more passes the more solids captured. **Important** in order for the bead filter to perform FINE micron straining it MUST be fully colonized with bacteria. Depending on the temperature this can take up to 4-6 weeks, at temps. above 60-65 degrees F.
How does a bead filter perform Bio filtration? Bio filtration depends on the establishment of a colony of bacteria on the surface of the beads large enough to convert dissolved toxic nitrogenous waste to harmless compounds. When the bacteria are given the proper environment, they grow in a thin bio film on the surface of each bead. Each cubic foot of beads contain about 600,000 beads. This is one of the secrets of the bead filters success–high surface area per cubic foot for a large bacterial colony per cubic foot of filter media. The two most common types of bacteria are, Nitrosomonas which is responsible for the break down of ammonia in the system. The next is Nitrobacter, which is responsible for the breakdown of nitrite into relatively harmless nitrate. **Important** in order for the bead filter to perform Bio filtration the beads must be colonized with a large enough colony to handle the load of dissolved ammonia presented to it. This may take up to 4-6 weeks at temps. above 60-65 degrees F. Until the colony has grown large enough, the pond owner MUST be responsible for monitoring the levels of ammonia and nitrites in the pond water and taking appropriate measures to correct dangerously high levels. Bottom drain to remove the sludge from the bottom. The blower is also equipped with a silencer. 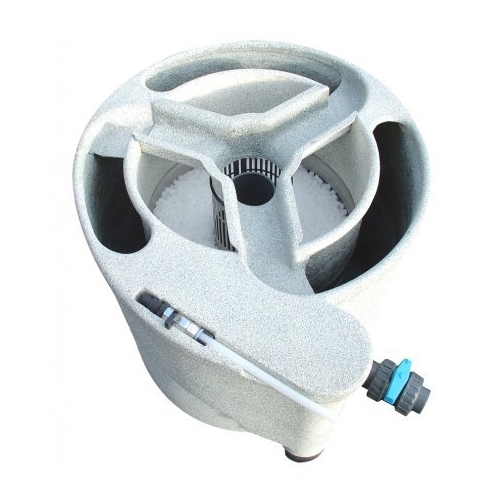 Available in 3 sizes for ponds up to 12m³, 20m³ 36m³, 55m³, and 95m³. The filter comes with a big lid for easy access.